Is the Creator of Borderlands Leaving Gearbox? Tweets from his Account announce departure. 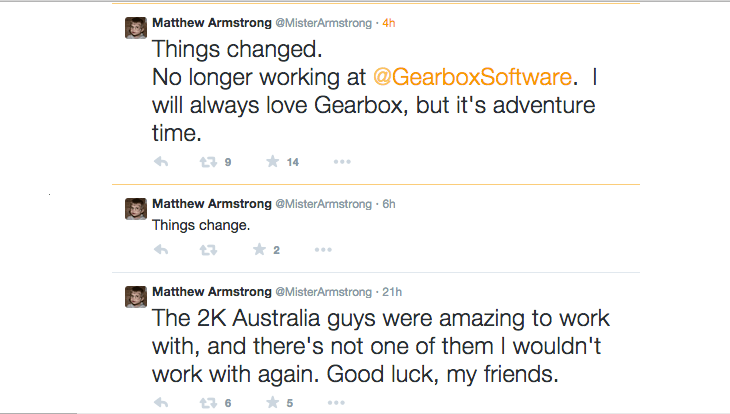 According to tweets from his account earlier today, the creator and creative director of Borderlands, Matthew Armstrong, has left Gearbox. 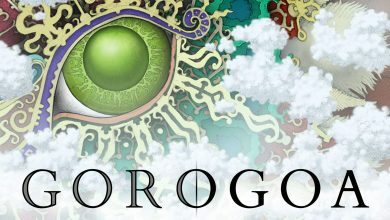 Armstrong, who was credited as a Writer and Game Design Director on the first Borderlands, gave no indication of what the reasoning was for his departure, but in his last couple of tweets he did wish all those in 2K Australia (who recently shut down) a farewell message, so it could have something to do with that. We will update this post if Gearbox or Matthew reach out.